James City County Parks and Recreation has your fall and winter covered with a great variety of classes, events and activities for everyone in your family! 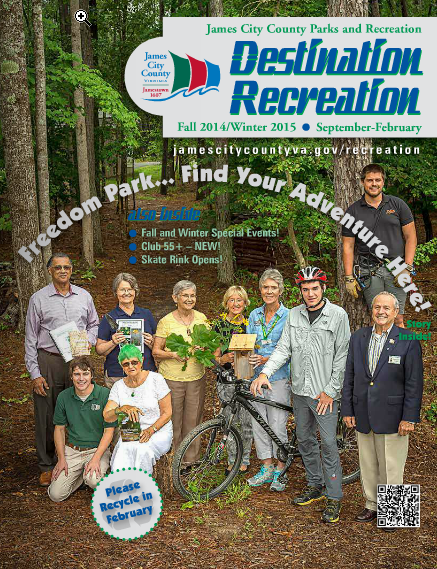 The Fall 2014/Winter 2015 edition of Destination Recreation features Freedom Park, our many park partners and the wealth of opportunities and programming they bring to our community. Come rediscover Freedom Park – for hiking and biking, history and learning or for fun and adventure! New opportunities this fall include "The Lounge" and Club 55+ programming and the Skate Rink moves to Mid County Park, plus your favorite fall programs and special events return! Please check out this Fall/Winter edition for details on all the offerings and then sign up for the programs most beneficial to you and your family! 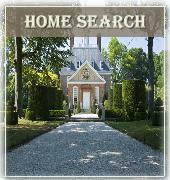 To download a copy of the brochure click below or pick up copies at the Recreation Centers, all public parks and recreation facilities, County government offices and at the County and City libraries! Enjoy the cooler months ahead with James City County Parks and Recreation!